Eligible nonprofits and charities can receive a donation of $3,500 in Azure credits and 50 one-year licenses for Enterprise Mobility + Security E3 directly from Microsoft. 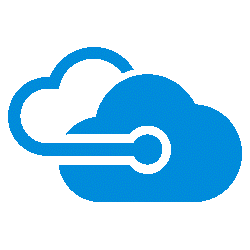 Azure credits can be used to purchase any Azure workloads created by Microsoft. The 50 Enterprise Mobility + Security licenses include Azure Active Directory Premium P1. Click Get It Now to visit the Azure page on Microsoft Philanthropies, where you can learn more and sign up. You don’t need to add anything to your TechSoup cart or go through the TechSoup checkout process to sign up for this offer. Azure is an integrated suite of cloud services. These services include analytics, computing, web and mobile apps, networking, storage, and more. Learn more on Microsoft’s website. What Is Enterprise Mobility + Security E3? Enterprise Mobility + Security is a cloud-based identity and security service that helps manage and protect your organisation’s users, devices, apps, and data. Microsoft includes 50 one-year licenses for Enterprise Mobility + Security E3 with Azure credits donations to provide organizations with access to Azure Active Directory Premium P1 as well as Azure Information Protection Premium P1, Microsoft Advanced Threat Analytics, and Microsoft Intune. How Can My Organisation Benefit from Using Microsoft Azure? Azure delivers insights to enhance decision making, supports a broad selection of operating systems, and provides industry-leading security. It also integrates with your existing IT infrastructure and scales as your nonprofit grows. How Can I Get Microsoft Azure for My Organisation? You must request donations of Azure credits directly from Microsoft. Click Get It Now to visit the Azure page on Microsoft Philanthropies, where you can learn more and sign up. · For more information about this offer, see the Microsoft for Nonprofits FAQ.